On December 3, 1984, a gas leak began at a pesticide plant owned by Union Carbide located in Bhopal, India. Due to the leak of more than thirty tons of chemicals and the highly toxic gas, methyl isocyanate, over half a million people were exposed to the toxic substances immediately that night as densely populated slums and shanty towns surrounded the plant. The immediate death toll from the initial release of the toxic gas was confirmed by the State Government to be 3,787 people. Individuals exposed to the gas suffered from cardiac arrest, respiratory arrest, burns in their throats and eyes, as well as nausea. Within two weeks, more than 8,000 individuals had died. Over the years, it is estimated that 15,000 deaths, and over half a million injuries and disabilities were directly caused by the Bhopal disaster. The cause of the gas leak remains unclear. 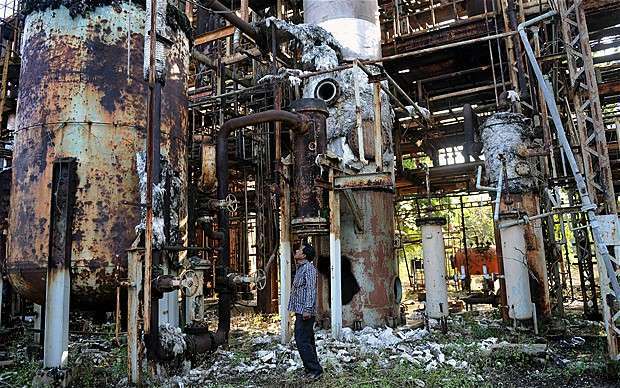 The Bhopal pesticide factory ceased normal operations after the disaster, and the site was abandoned by the company in 1998. In 1987, district courts charged Union Carbide officials, including CEO Warren Anderson, with crimes such as culpable homicide, and grievous assault. Warrants were issued for Warren’s arrest, but the United States refused to extradite him due to lack of evidence. Union Carbide negotiated a settlement regarding litigation with the Indian Government in 1989 totaling $470 million. This resulted in compensation for victims as little as $350 each. 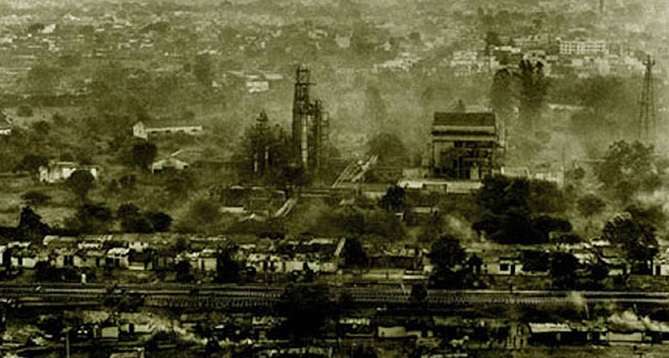 The Bhopal pesticide factory ceased normal operations after the disaster and was abandoned by the company in 1998 leaving behind warehouses, buildings, and chemical waste. Thirty years later, toxic substances remain in the area which has not been cleaned up since much remains buried underground, which also led to water contamination. There are still around 20,000 people living in the proximity of the factory site. Many of those exposed to the toxic gases have since given birth to children with physical deformities and mental disabilities. Those who currently live around the Bhopal plant are still impacted by a range of medical issues such as cancer, body aches, dizziness, rashes, nausea, and frequent exhaustion. Robert F. Goheen, Ambassador to India from 1977 to 1980, discusses the tragedy in an interview with Frederick Aandahl beginning in December 1988. John Gunther Dean, Ambassador to India right after the tragedy, recounts the lack of support given to victims of the tragedy. He was interviewed by Charles Stuart Kennedy beginning in September 2000. William Clark, Jr., Ambassador to India from 1989-92, visited the site of the Bhopal disaster; he was interviewed by Thomas Stern beginning in January 1994. Charles A. Mast was interviewed by Charles Stuart Kennedy in February 2001 on the topic of exploitation, both by American companies and the Indian Government. Q: Have you figured out what your most significant accomplishment was in your four years there? GOHEEN: I don’t think I really accomplished anything of terrible import. I think I helped the Carter Administration project its and my concern that India and Indians understand that the United States really cared about their country, and that we were not just bent on building up Pakistan at India’s expense….You can get frustrated. People don’t listen sometimes, but I didn’t experience any deep frustrations. I mean, I knew that, in terms of affecting Indian policy and what not, as an ambassador, the most I could do would be, at best, to soften it at the edges a little bit or to keep it from clashing with our policies where they differed in such ways as to produce heat…. Q: Was there anything that American industry, or your embassy, or the Indian authorities could have done to prevent the Union Carbide disaster at Bhopal? GOHEEN: I was shocked by that. I visited that plant. I’m not a scientist or technologist so I’m in no position to say whether it was well run or not. Interestingly enough, however, it was a piece of collaboration of which both Indian business and the Indian Government were very proud…Now I think it remains very much a matter of dispute whether it was negligence that caused the accident. The Union Carbide people are convinced it was an act of sabotage and they know who did it, but the Indian Government doesn’t want to recognize that; so, it remains a very disputed case. But the consequences were terrible, including the fact that it is all hung up in the courts. The poor people who have suffered have gotten no compensation at all to speak of. DEAN: Another subject on which I was asked by Washington to stay on the sidelines was the Bhopal chemical disaster which occurred before my arrival in India. On the night of December 3, 1984, a toxic cloud released by a pesticide plant belonging to the U.S. multinational Union Carbide killed between 16,000 and 30,000 inhabitants and poisoned half a million others. It was the most deadly chemical accident in history. Those deemed responsible for this tragedy, to begin with Warren Anderson, at the time Union Carbide’s CEO, have never been brought to court to explain why they shut down one by one the devices which were to guarantee the safety of the plant. Mr. Anderson retired in 1989. Soon after the horrible disaster, the Indian Government filed suit for $3 billion in damages, but the case was settled out of court in 1989, with Union Carbide agreeing to pay $470 million toward compensation. Of that amount, $200 million was spent. As of today, the balance remains unspent. Efforts by the numerous victims to bring the case to court have been unsuccessful, but occasional hunger strikes or demonstrations revive the sad memories of this disaster where 95 % of the people who have been compensated received only $500 each. I am still today grateful to my superiors in Washington for the telephone call I received from them “to stay out of this legal confrontation.” Still today, the numerous victims of this horrendous disaster are trying to get the U.S. multinational corporation Dow Chemical — now the owner of Union Carbide — to assume the responsibility of the defunct corporation in matters regarding medical treatment of the victims and the liability for damages done to the environment. Union Carbide disappeared in 1984, leaving hundreds of tons of toxic effluents on the side of its abandoned plant. This mass of poison pollutes each day a little more the underground system that provides the water for the wells of those who still live in the immediate vicinity of the rusting metallic structure of the old Union Carbide installation. But today, the emphasis in India is on getting major international corporations to invest in the subcontinent and it is doubtful that the victims’ voices will be heard so many years later. CLARK: The Bhopal accident had occurred five years earlier. It was not a major issue any longer by 1989. The Indians had requested that the plant be built where it was built and no Americans were involved in the actual operations of the plant. But no American had been there since 1984 and I decided that I would visit the site. When I got there, I was told that I was only the second American Ambassador who had ever visited Bhopal — the first having been Galbraith and that was in the late 1950s. Periodically, the Bhopal explosion is raised partly because the settlement of $740 million dollars still just sits in a bank account. Some stipends have been paid from it, but the bulk of the payment remains untouched. The Indian government has refused to run any tests to see what the extent of the injuries and personal permanent damages really are. Anyone who says that he or she was in Bhopal at the time of the accident — even if unverified — has a claim on the settlement. The government seems to be unable to reach a decision on how to distribute the proceeds. The settlement was made on the basis that the monetary compensation of $740 million would cover all civil and criminal penalties. That was an excessive amount in Indian terms, in light of what the fines are if an Indian is killed in a motor accident. By U.S. standards, it was a pittance. The Indian Supreme Court found, as a result of a suit started by one of the many lawyers in India, that while the government could settle civil damages, it could not agree on a settlement on criminal damages. 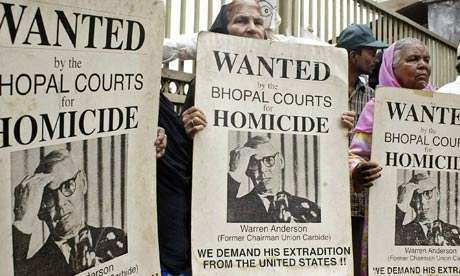 So a warrant has been issued for Mr. Henderson, the former head of Union Carbide, by the Bhopal court which can only be served should he ever return to India. Recently Union Carbide sold the rest of its property in India, but the settlement remains frozen. Unfortunately, the whole Bhopal process dampened enthusiasm for American investors to a degree. It affected even some Indian investments because it became clear to all that Indian law did not limit corporate liability; it permitted suits to be petitioned to parties in a foreign country that had no longer any involvement in the management of a facility. 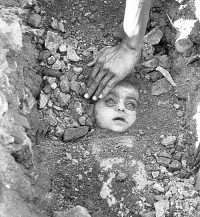 Of course, the Bhopal accident and subsequent settlement was caught in the political upheaval that caused [Prime Minister] Rajiv Gandhi’s fall. He, after agreeing to the settlement and having the courts approve it retroactively, had a plan to sell it to the country, but was never able to do so because he was defeated. So potential investors became wary in light of the Union Carbide experience. They saw the possibility of similar fates for them. Indian corporations have talked about finding some ways to limit liabilities, but haven’t been successful as yet. There are still legal impediments to foreign investments, but at least India has a body of law and a functioning legal system and more lawyers than we have. The barriers are primarily caused by the fact that the laws don’t spell out every detail of every investment process, leaving open questions that can only be resolved in court. But then India is not the only country that suffers from that defect. MAST: We used to go to Bhopal periodically because it was in our consular district, but it was rather quiet at the time, although there were still lawsuits going on. The Indian Government won a major lawsuit against Union Carbide, I think $450 million or so. And then, of course, what happened was it basically went into the Central Bank, and the government was supposed to use that for the people in Bhopal. Of course, the Indian Government said that for eight years we’ve been taking care of all of these people and we’ve spent hundred millions on this. 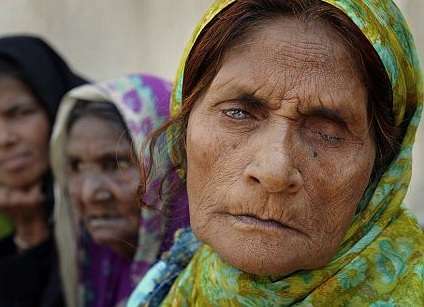 There were many debates in the press and among NGOs and other groups who argued that the government was exploiting these poor Indian people who had been injured and died in the accident. They were exploiting them almost as badly as Union Carbide had, so it was quite a story. For a little while, there was a danger that the chairman of Union Carbide might be extradited or arrested, but we were not directly involved in that, as of course the Consulate General had been earlier in the 1980s. Q: You set up a factory in India and very quickly, as happened in Bhopal, you have squatters and all getting all around the fence, which creates a problem. MAST: I remember it happened with a number of Indian factories. I knew people in the chemical industry who would have this problem. Indian chemical effluent wasn’t nearly as clean as it should have been. But the problem intensified when squatters moved so close that the kids were actually playing right in the effluent or people were washing their clothes in it or whatever. So you’re right. There is economic sense in cleaning up, maybe not when you get to where you’ve got to take 99 percent out, as we find out with our own smokestacks. But if it’s going to be the difference between 50 and 90, there is a great economic incentive in cleaning up.